Device now supports Cisco Any for better VPN functionality. Improved device stability will decrease device resets. Improvements to default mail application allows Yahoo! Mail accounts to receive messages properly. Resolved issues with Mobile Hotspot connectivity. + Incoming calls now display the correct state, when applicable. This particular update appeared in RUU format back in April so you may already have it if you were adventurous and loaded it up. If not, go ahead and check for system updates. It'll either be there waiting or it will be along shortly for you. Need to know more? Folks in the Android Central forums have already gone through it so head on into the forums below to discuss it some more. 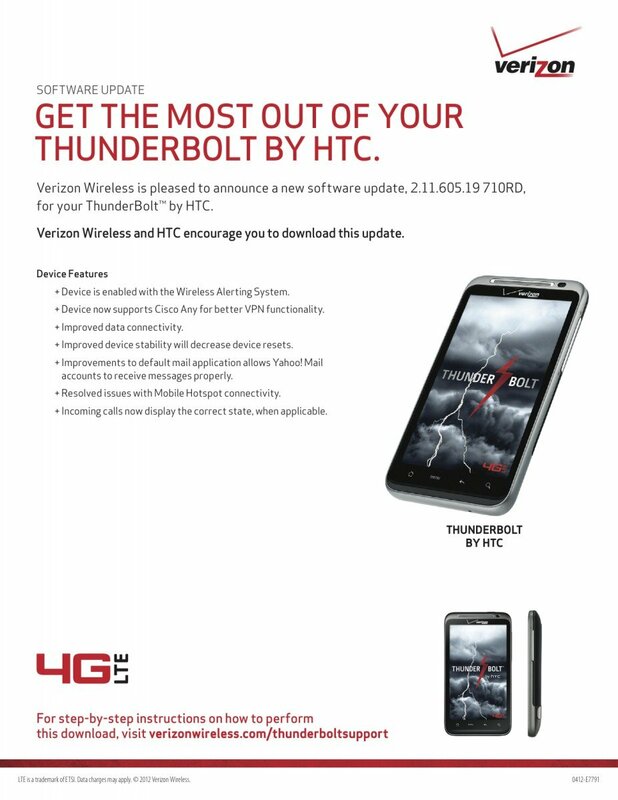 Discuss the v2.11.605.19 710RD update in the Android Central Forums, Thanks, Steve!